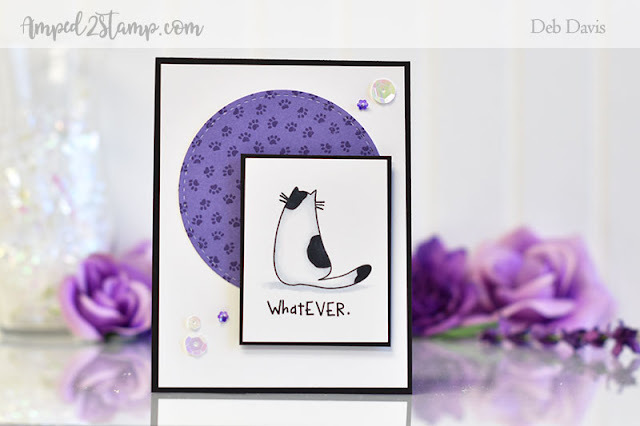 Here's a card made with a Whimsy Stamps August new release stamp set called Purre Love. 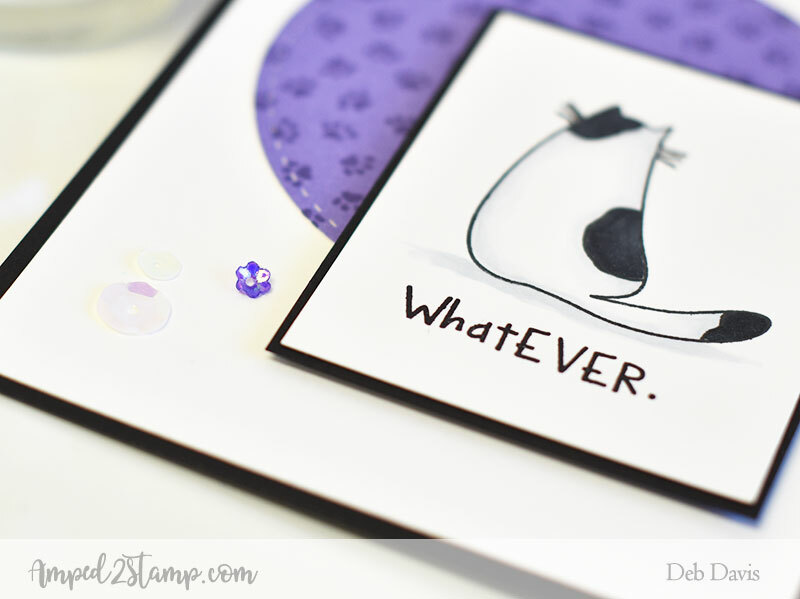 A purrfect set for making cards for the cat lover in your life. I also used the Puppy Paws background stamp for the circle of purple puppy paws ;). 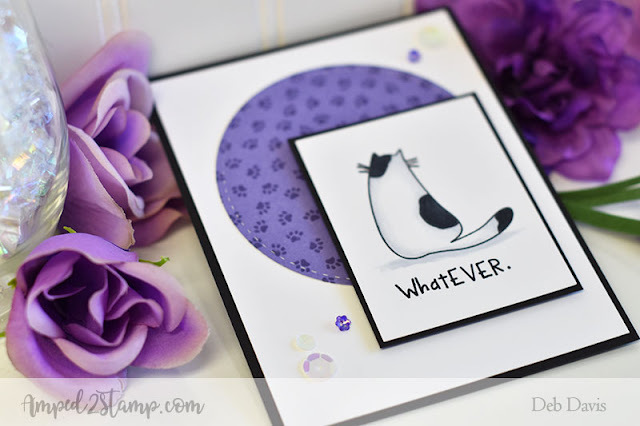 The Purre Love cat was stamped with Memento black ink and colored with Copic markers. And the sentiment was stamped with Versafine black ink which is my favorite for crisp results. The sentiment is so true...LOVE cats and their attitudes! For a little extra interest I added a couple sequins from my stash. Have a PURRfect day :)! This is just the most adorable card !!! 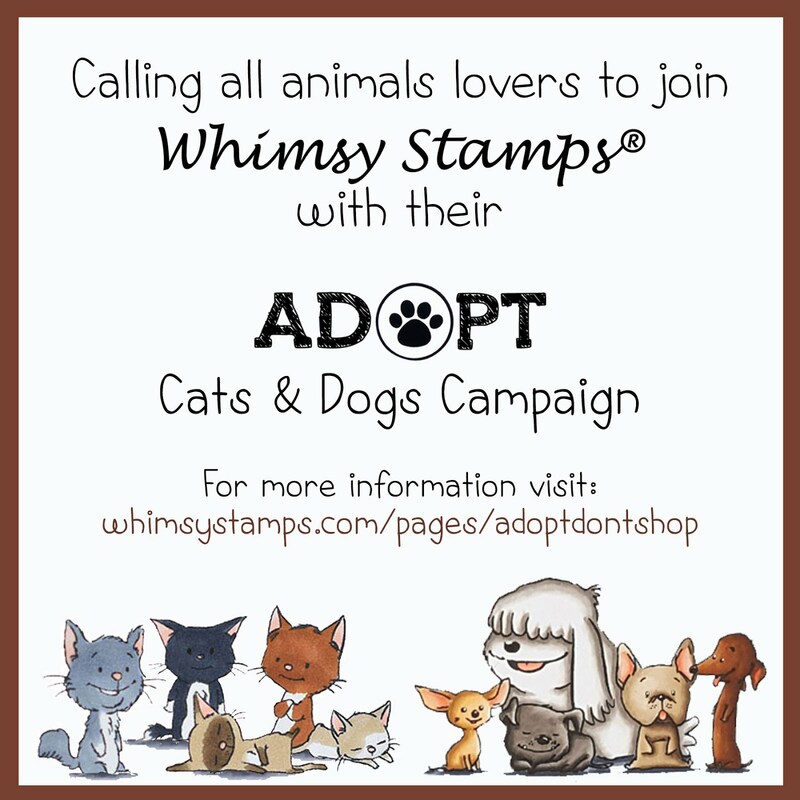 Love this stamp set and can’t wait to order it & use it ! !